The Fiat 500 R 1973 is the iconic Italian car of the 6os and 70s. 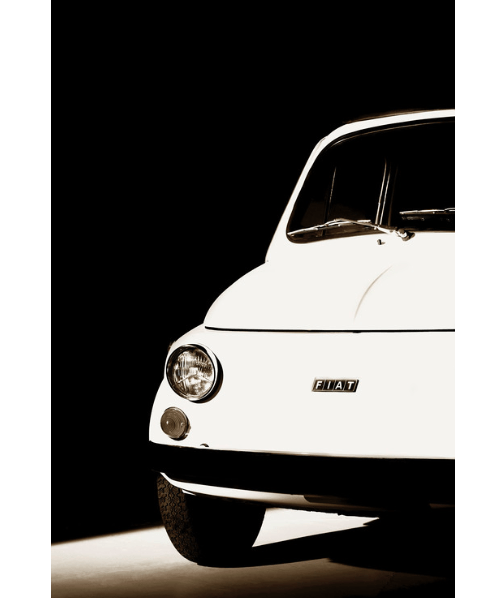 This limited edition signed print by Stuart Redler comes from his 2017 Classic Car Series. All photographs are available as archival pigment prints, framed or unframed in 5 sizes. Each frame is handmade and finished in London from stained Ash, which is sourced from renewable sources, and comes with an ivory mount.